BreakFree mtb Reservations | Let's create some memories together! Let's create some memories together! 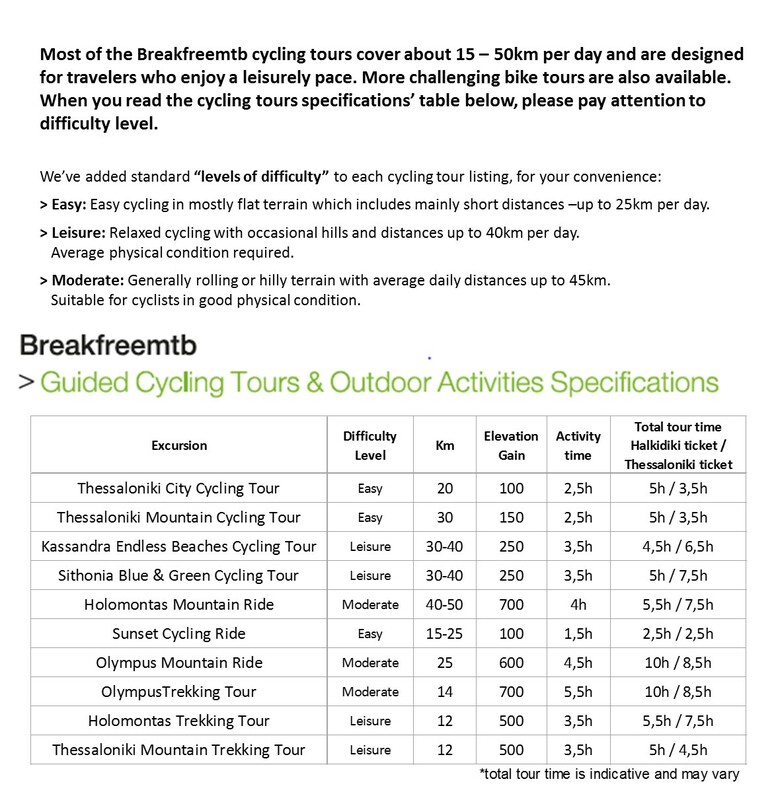 Breakfreemtb offers guided Nordic Walking, Hiking, Cycling tours and outdoor activities. Based on Santorini island and on Thessaloniki, our multi-activity services give you the chance to try a number of activities on one outdoor holiday. We have a wide selection of activities that suit various ages, abilities, and interests. Come with us on a tour to remember around Santorini island, Thessaloniki, Chalkidiki, and Mount Olympus. Use the calendar below to book your activity or send your request for available customized activities.